It’s true, Halloween is almost here now. Are you ready to be tricked or treated? 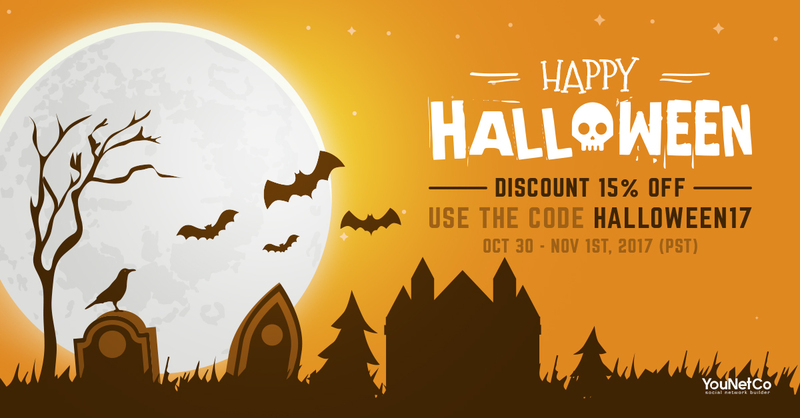 This year, we are eager to offer you a great ‘treat’ with code HALLOWEEN17. Don’t worry about us pulling any ‘trick’ on you because the sweet 15% OFF on all of our products from October 30th to November 1st, 2017 (PST) is a great way to celebrate Halloween. Let join us in Halloween season and see how people in your community enjoy our treat. > Compatibility on Oxwall 1.8.3!